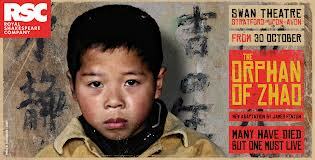 The one play not to miss at Stratford this season is The Orphan of Zhao in a new adaptation by James Fenton. The play is probably the Hamlet of China and is quite an extraordinary story. Greg Doran (Stratford’s new artistic director) has given it a wonderfully conceived treatment, clearly influenced by Brecht’s Theatre of Alienation concepts at their most successful. Beginning with a balladeer who sets the scene (a lovely and ultimately affection-inducing turn from Jeremy Avis) and who returns regularly, magical aspects of the tale are dealt with in various ways including puppetry influenced by Eastern traditions that is highly dramatic. Characters address the audience, engage them, arrive announcing their biographies – never do you not realize you are in a theatre being entertained and yet never do you not suspend disbelief and accept the actors for the characters they are supposed to be. Feeling also a bit like one of Shakespeare’s really strong, plot-driven istory plays, the story is said to be based on real incidents in the history of China deriving from the 5th Century before the Christian era. The play exists in several versions, but as part of a season in the Swan Theatre that sets Shakespeare in the context of his times, the version adapted here is the popular one from the 17th century. Given that there is a ballad/fairy tale element to the characters, they are remarkably complex and recognizable not only as archetypes but as human beings as well. And the acting, as always in a Greg Doran production, is at the highest level. Everyone does his or her part exquisitely well, but I was particularly struck by the Princess of Lucy Briggs-Own, by Jake Fairbrother as the Orphan of Zhao and by Chris Lew Kum Hoi as the ghost of the son of the doctor, Cheng Ying, who is played with immense sympathy and pain by Graham Turner. But the star of the show ulitmately, aside from the Orphan himself in Part Two, is the superb Joe Dixon who plays the villain and pivot of the plot, Tu’an Gu. The play is a commentary on autocratic government versus enlightened authority, full of paradigms about Totalitarianism that make it politically relevant to all eras, and drawing parallels to the history of China and Europe in the 20th century and even right now. But ultimately it works because you care about the characters from the very first moments of the play. And because its is brilliantly lit, costumed and designed, you also retain a strong visual memory of each character from their first entrance. The Orphan of Zhao is definitely worth the trip. In repertory at the Swan Theatre, Stratford-upon-Avon, until 28 March 2013. 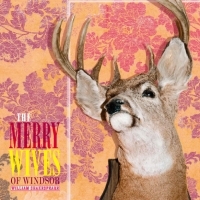 The new production of The Merry Wives of Windsor introduce a new director to Stratford, Phillip Breen–and on the evidence of this production, we should begin anticipating his next as soon as the curtain falls. Breen has imagined the play in the Windsor of today, yet somehow also evoked the period of its composition– perhaps because of the wonderful set that evokes the old town, new suburbs and a scary Herne’s Oak. Not a line reading goes awry; and the cast is strong and hilarious because they are playing the characters not as comic caricatures but as real people. Desmond Barrit is a curmudgeonly con-man of immense charm as Falstaff; and the merry wives themselves are brilliantly differentiated: Sylvestra le Touzel is a solid, stolid and somewhat smug Meg Page; Alexandra Gilbreath is a fun-loving and slightly louche yet respectable Alice Ford; and Anita Dobson as Mistress Quickly steals the scene every time she appears , and is a wonderful Queen of the Fairies in the last scene in the bargain. One empathises with Frank Ford’s insane jealousy (both the pain and the insanity) as well as George Page’s blocky, bourgeois belief in his wife and in his right to dictate the marriage of his daughter, Anne. All the townsfolk and hangers on are delineated with great care and precision, down to the children being taught by Sir Hugh Evans, the Welsh parson (based, it is thought, on Shakespeare’s own teacher). Shallow, Slender, Simple, Fenton and even the host of the Garter Inn are memorable cameos and make real sense of the story. Laughs abound and are never arbitrary. 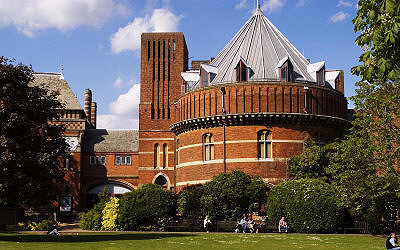 Playing in repertory at the Royal Shakespeare Theatre, Stratford-upon-Avon until 23 January 2013. 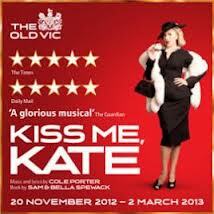 Here it is again – another Kiss Me, Kate, this time at the Old Vic. Trevor Nunn, who has directed about 30 Shakespeare plays in his time as well as several blockbuster musicals, does it again, and it is a splendid production! I have seen it done more revealingly; I have seen it done more spectacularly; I have heard it sung more evenly. But this is a very substantial evening in the theatre and enormous fun in the bargain. And if you’re in the mood for entering a time warp into 1948 and seeing how they did it on Broadway in those days; and if you feel like seeing Kiss Me, Kate, this version will not disappoint. Transferring from the Chichester Theatre Festival of last summer where it was a big hit, Kate adapts well to the ambience of the Old Vic in London. Hannah Waddington, who is simply magnificent, plays the spoiled, grumpy but ultimately loveable Lili Vannessi who plays Kate in The Taming of the Shrew. Alex Bourne is Fred/Petruchio – he has the looks and presence to have been in the original production. These leads have, as they used to say, chemistry. The choreography by Stephen Mears is energetic, exhilarating and inventive; and the number “Too Darn Hot” is dazzling in his hands. David Burt and Clive Rowe pretty much stopped the show when they brushed up their Shakespeare. Instead of a pantomime this year, the Old Vic now has a Christmas show of sophistication, glamour and wit for grown-ups. 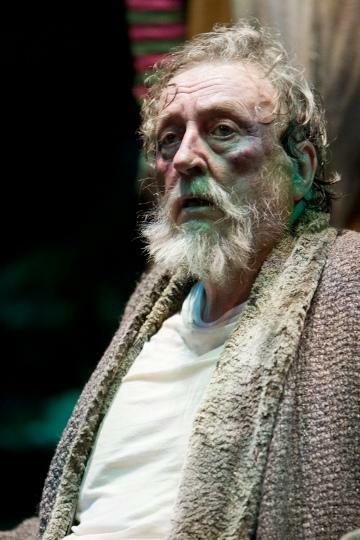 Playing at the Old Vic Theatre, London, until 2 March 2013. The famous all-male Twelfth Night first performed at the Globe Theatre ten years ago has been revived, directed by Tim Carroll, and then transferred to the West End’s Apollo Theatre. A well-conceived permanent set does double duty for it, as well as for a very good Richard III, with which it plays in repertory, with Mark Rylance in the title role. Get there early and watch the men making up and getting ready in a pretend dressing room area onstage before the play starts; a lovely conceit because, when you see them reappear in their parts (some dressed as the women they play), the mixture of recognition and surprise is a singular experience. 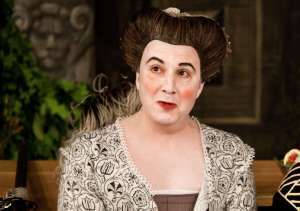 Mark Rylance is a standout as Olivia, performed as if played by a male actor in Kabuki who suddenly discovers uncontrollable sexual desire when he/she first sees “Cesario” – performed in a finely judged characterization of Viola and Viola-in-drag by Johnny Flynn. Malvolio is warmly played by Stephen Fry – the perfect, gentlemanly Puritan who is overthrown by sexual desire and ambition when gulled by people he has offended. 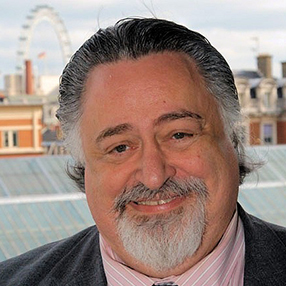 One of the most striking performers is Paul Chahidi as a plump, middle-aged, extremely intelligent and wry Maria. The production is pitch-perfect and the line readings are vibrant with primary meanings and subtexts. Having men play women’s roles, though not exactly as in Shakespeare’s theatre (they were teenage boys then, not fully mature men) still illuminates many things about how the original audiences perceived the productions and about the sexual ambiguities of the tale. However, the real success here is simply that the text is brilliantly served, impeccably acted and at times allows the darkness of the self-delusion, frustration and anger in the characters to come through clearly. If you can get to only one thing in London this season, I would say this should be it. Playing at the Apollo Theatre, Shaftesbury Avenue, London until 10 February 2013 in repertory with Richard III.